CDW presented its 2018 Partner of the Year Awards on Nov. 8, during its annual Partner Summit in Las Vegas. The awards recognized top-performing CDW partners that provided exemplary products, programs, solutions and services to support CDW and its customers throughout the year. 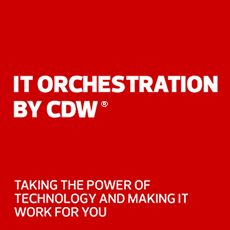 CDW’s Partner of the Year Awards are based on input from CDW’s sales team and backbone departments such as product and partner management, marketing and partner finance. Additional selection criteria include growth of the partners’ sales through CDW, overall profitability at CDW and market strategy alignment. The individual award winners were chosen for their outstanding leadership and for providing excellent services to CDW’s coworkers and customers. "Our annual Partner of the Year Awards recognize and celebrate the outstanding efforts of our partners in support of CDW's goal to deliver exceptional customer experiences," said Matt Troka, senior vice president of product and partner management. "We congratulate the award winners and thank them for the continued commitment to CDW." "Our annual Partner of the Year Awards recognize and celebrate the outstanding efforts of our partners in support of CDW's goal to deliver exceptional customer experiences."